Californian craft brewer Stone Brewing Co. has teamed up with Hawaii’s Maui Brewing Co. to distribute 21 different craft beer brands to the island of Maui. Stone Craft Beverages, a distribution company formed by Maui Brewing Co. and San Diego-based Stone Brewing Co., will bring craft beers to the Hawaiian island from California, Oregon and Colorado on the US mainland. The beer will be transported to the island from San Diego via refrigerated shipping containers, before being transported to shops, restaurants and bars via refrigerated trucks. 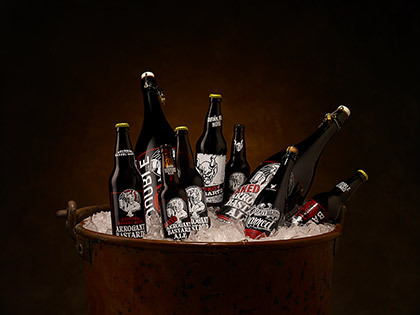 Stone Brewing Co. CEO and co-founder Greg Koch said it was important that the craft beer be kept at an optimal temperature at all times during distribution, to guarantee its flavours are faithfully preserved over the journey. Maui Brewing Co. founder Garrett Marrero was looking forward to helping Maui locals cast “commodity beer” aside in favour of quality craft beer from Hawaii and the continental USA.